One of my favorite brands of bag, Thule, has launched a new collection of stylish and high quality travel bags that are built to last. The Thule Subterra travel bag collection is the company's latest offering comprising of sleek and durable luggage and backpacks. I can attest to the durability of Thule's products as I'm a Thule user myself. 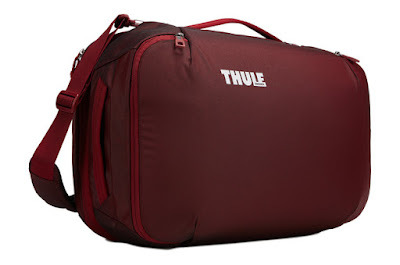 I've been using one of Thule's bags as my everyday backpack. Aside from the durability, the design always attract attention. In fact, I get a lot of compliments from friends and colleagues who see my backpack for the first time. So it's not a surprise that these same qualities are found in the new Subterra collection. 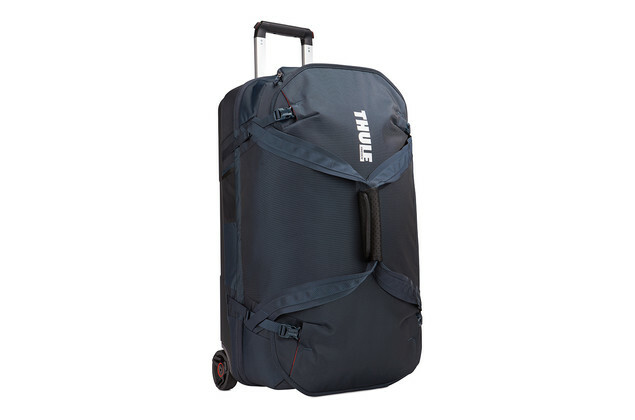 The Thule Subterra collection has been created for travelers like myself. The backpacks and luggage are designed with style, focusing on having a sleek look giving you confidence when you use them, while not sacrificing comfort and quality. With Thule's extensive experience in developing products that last, Subterra are guaranteed to be rugged and tough for traveling even to the most exotic places in the Philippines, or anywhere in the world. The Thule Subterra collection is comprised of different models of bags, luggage and backpacks. They also come in different colors and sizes. The Thule Subterra Carry-On is built for light packers and convenient for quick trips. Its versatile as it can be used as a backpack or as a shoulder bag. It features multi-purpose compartment, lots of pockets and a separate sleeve for laptop making it a perfect companion for business executives and young professionals. This bag is something that I can use for an overnight trip in Batangas, for example, as it can carry some basic stuff and travel essentials that I need. 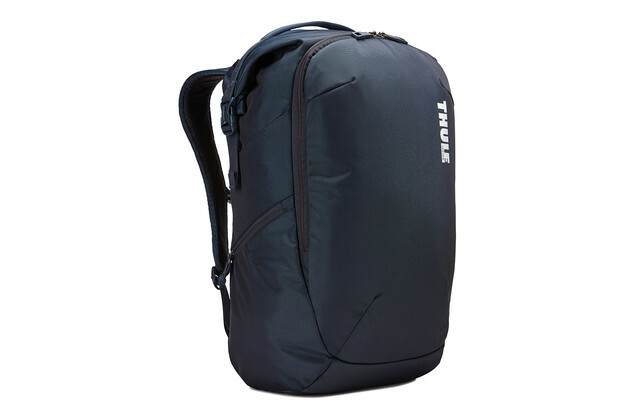 More versatile and functional, the Thule Subterra Travel Backpack is created for techies and young professionals. It can safely store a 15" laptop in the padded sleeve with SafeEdge construction, as well as other devices and valuables keeping them snug and secure. Its wide rolltop opening has magnetic closure which makes the contents easily accessible while the removable packing cube helps keep your clothes organized. This backpack is perfect for my weekend beach getaway. I won't have any problems carrying my 15" laptop with me when traveling, while having more spaces for my clothes and other gadgets. The Thule Subterra Luggage comes in two sizes and models. Both models are 2-in-1 which is perfect for jet setters and those that need more space while staying organized. The 55cm/22" model can be split into two separate carry-on pieces providing you options and versatility. Like the 56L luggage, the 70cm/28" model is also made of durable and water-resistant materials but offers more space. Both has tough, oversized wheels and V-Tubing telescoping handles for smooth and easy transport. Additionally, the piggyback strap attachment loop allows you to add an additional bag to be hooked on it. For my next international trip, either of these luggage will be awesome to use. Depending on the number of days of my trip, either bags can be a great companion for my next adventure abroad. Here are more photos during the Thule Subterra Collection Press Preview on April 20, 2017. 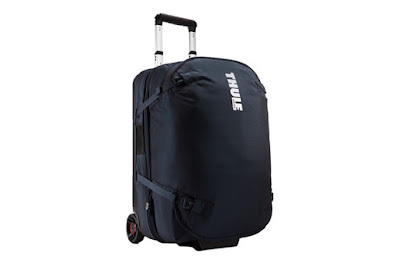 For more information about THULE and the THULE SUBTERRA COLLECTION, visit https://www.thule.com/en-us/us/luggage/thule-subterra-collection and www.facebook.com/jbthph. Photos without watermark are not mine and used with permission.